If you have ever seen the movie Inside Out, you know the story is from the perspective of five emotions in the head of a girl named Riley: Fear, Anger, Disgust, Sadness, and Joy. The emotion in charge, Joy, can always find the bright side of anything and tries her best to make sure everything is always upbeat and happy. One of my favorite things about the movie is that it showcases the importance of all the human emotions and the roles they play in our lives. Much like Joy, we all want to be happy. Radio stations and blogs pride themselves on the positive environment they create. News outlets receive complaints about their coverage of depressing news stories, as if the journalists themselves decide the events that happen each day. When I'm feeling down, I reach for the coffee and chocolate for a pick-me-up. 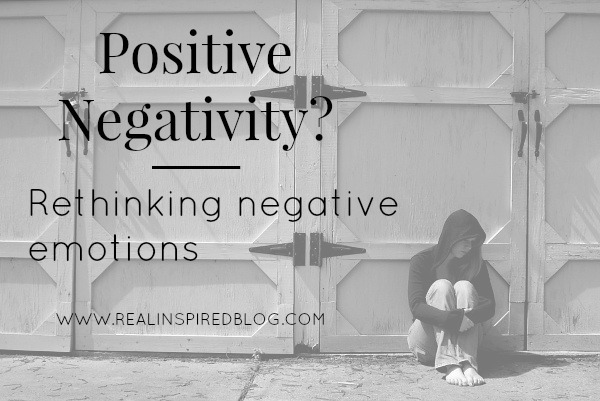 Fear, anger, hurt, disappointment...these are what we think of as negative emotions. We want to avoid them. However, these negative emotions plumb the depths of what it means to be human. They are the emotions that show us who we are and why we do what we do. They are complex. They beg to be analyzed. I find the "negative" emotions fascinating and mysterious-it's why I'm drawn to them. I can't be distracted from feeling them, nor do I want to be distracted. There's a kind of satisfaction I get from allowing myself to dive down and go through the depth of emotion and rise up on the other side with a deeper understanding of myself and the world around me. It seems there is no such depth to happy. Happy is what it is. You usually know why you're happy. It doesn't need to be figured out and, unless you are a scientist, you don't want to think too hard about it. I'm not saying that people should stay negative and wallow in emotional pain. I am saying that there is a place for feelings like discomfort and sadness, that they have a beauty and depth to them that is underappreciated. We should not be so quick to run from them. At the end of Inside Out, Joy realizes that the one emotion she has pushed away for Riley's entire life is the the only one who can put everything right again. She finally understands that Sadness has a valid purpose, as do Fear, Anger, and Disgust. It's a fun movie meant to entertain but it teaches a lesson most of us, like Joy, would do well to learn: that all emotions are important. We shouldn't feel like we've achieved something by being positive all the time. We too need sadness just as much as we need joy. Sometimes, we need it more.